Development builds of this project can be acquired at the provided continuous integration server. These builds have not been approved by the BukkitDev staff. 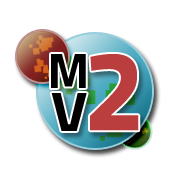 In the second delivery of Multiverse, we've broken it up into several smaller plugins that are each feature packed but not bloated! Multiverse provides the easiest to use world management solution for your Minecraft server, big or small, and with great addons like Portals and NetherPortals, what's not to love! Multiverse is back, and works for the latest server build! Is your server, a Multiverse? Color your worlds when the appear in chat! Conserve memory by having some worlds NOT keep their spawn chunks loaded! Support for worlds with spaces! Purge all those unwanted animals/monsters from your world! Perform all per-world modifications with in-game commands! Stop getting those YAML errors! We use to have this notion of an "Awesome Build" or AB which was suppose to be thought of like Bukkit's Recommended Build system. Awesome Builds were ones that we put extra testing into and were meant to be very stable. Unfortunately there will be no more Awesome Builds. Our development team doesn't have the time to devote to the project that we use to. As such, we've moved to a new build system which you'll notice in the new version numbering. Our release builds here should be stable; Lots of people have had time to vet them for us while they were only development builds. While we don't have much time to work on the project, we do still take critical bugs very seriously and try to get them fixed as quickly as possible. Is Multiverse Missing that little something that you need? When OP change other world, have parameter gamemode keep original mode? This plugin stops everyone from taking any damage is it a setting?! No? Are you using WorldGuard? Is there a way to add a custom loot table with this plugin? ¡Ayuda!No sé cómo poner un mapa en un servidor de "Aternos". Es genial el plugin, pero no tengo idea de cómo importar un mapa en la página sin que se borre el mapa ya subido¿alguien sabe. ? Gracias..
Help! I do not know how to put a map on an "Aternos" server. It's great the plugin, but I have no idea how to import a map into the page without deleting the map already uploaded. Someone knows. ? Thank you..
Aternos is very limited. Don't use it. Which server are you using? For some reason when ever someone uses their inventory or a chest they are automatically teleported to one of the worlds. Why is this, is there a way to fix it? How can I set the max building height for server that I made? Go to server.properties and change from the bottom the 6th line. How to not change my game mod when I go to another world? also, the plugin automatically switches back to "gameMode: SURVIVAL"
I'm using Spigot 1.12 not bukkit, will that cause this problem?